This multi-phased Construction Manager at Risk project consisted of wet utility and street improvements. Pre-construction services included conflict designation/potholing for design, estimating, GMP development, value engineering, utility coordination, stakeholder outreach, and budgeting. GMP 1: Removed/Replaced 1,332 LF of water mains (6”, 8”, and 10”), installed three valves (4” to 8”) and six new water services and meters, removed 55 LF of gas line, and removed/replaced 817 SY of pavement. 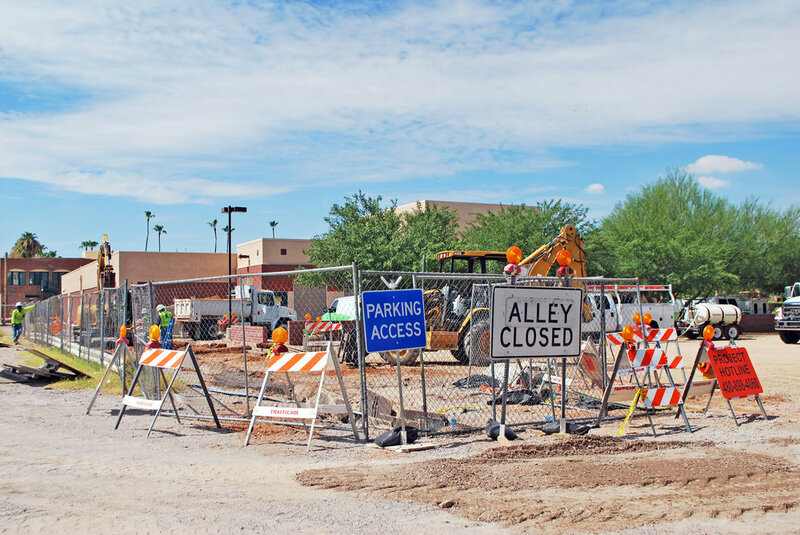 Work was located near the southwest corner of Arizona Avenue and Chandler Boulevard. 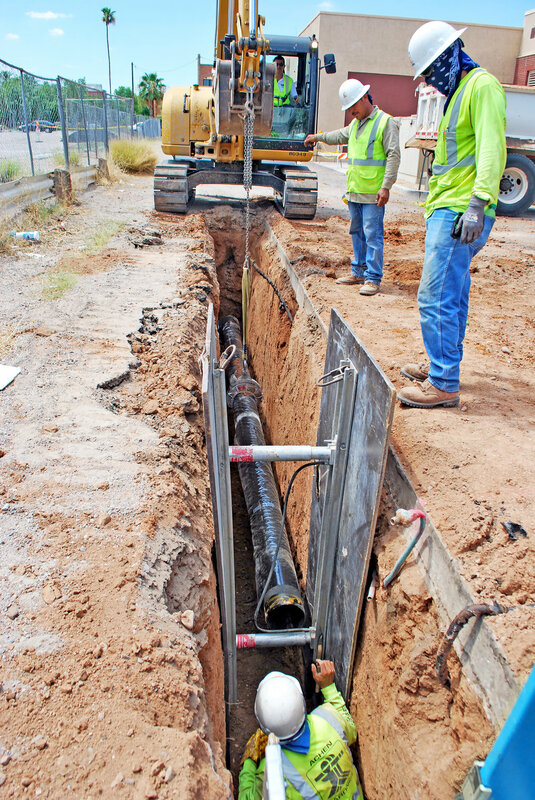 GMP 2: Installed 6,220 LF of new DIP water mains (6”, 8”, and 12”) and connections to existing mains, 63 valves (6” to 12”), 35 new commercial and residential water services and meters, 1,595 LF new VCP sewer mains (8” and 10”), and removed/abandoned 768 LF of existing water mains. We also removed/replaced 5,624 SY of asphalt pavement that included cut and patch for trench work and paving, 1,337 SF of concrete sidewalks and driveways, and 232 LF of valley gutter and curb & gutter. Work was located in the area bounded by Arizona Avenue, Essex Street, Commonwealth Avenue, and Frye Road. GMP 3: Installed 1,273 LF of new DIP water mains (4” to 12”) and removed 1,110 LF of 8” water line, installed 19 valves (4” to 12”), installed seven water main tie-ins, cut/plug/abandoned 13 water main locations, connected 37 water services, installed temporary PVC water line and services (4” and 6”), 577 LF of VCP sewer pipe (10” and 15”), and completed associated asphalt paving and concrete flatwork restorations. We also removed/replaced 1,879 SY of asphalt pavement that included reprofiling and field design modifications to correct drainage issues and cut and patch for trench work, 663 SF of concrete sidewalks and driveways, 390 LF of valley gutter/curb & gutter, temporary ADA parking stalls, hardscape/landscape repairs, and construction/maintenance of a temporary parking lot. Work was located in the area bounded by Arizona Avenue, Essex Street, Commonwealth Avenue, and Chicago Street. 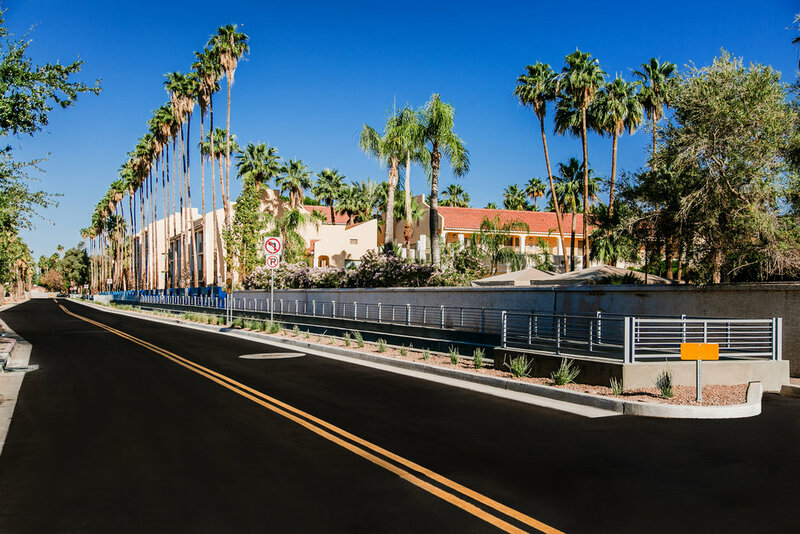 GMP 4: Constructed a 933 LF SRP concrete U-canal, 933 LF of 36” HDPE bypass, a pedestrian box bridge, 800 LF of glass inlaid sidewalk, 2,200 SY of asphalt paving, 660 LF storm drain, catch basins, a 6,000 SF courtyard that includes artificial turf, decorative hardscape and pavers, and landscaping, decorative metal fencing and railing, lighting, curb/gutter, and ramps. 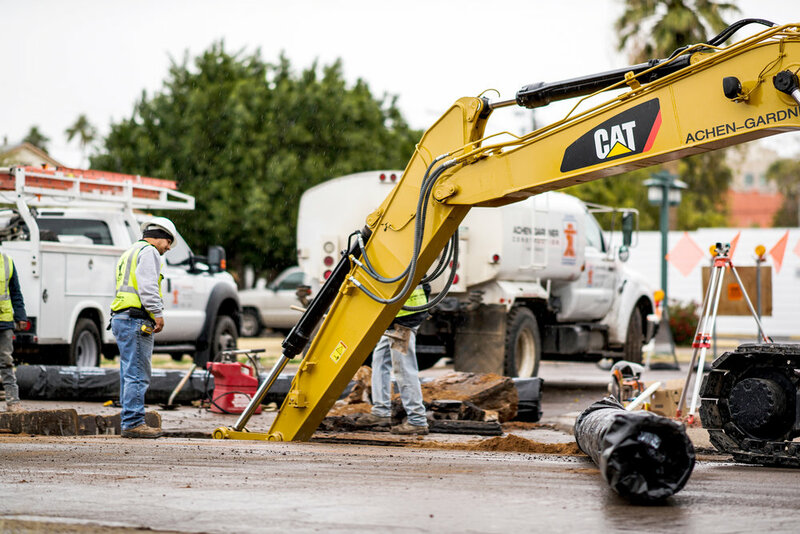 Work was located on and along Commonwealth Avenue from San Marcos Place to Essex Street. 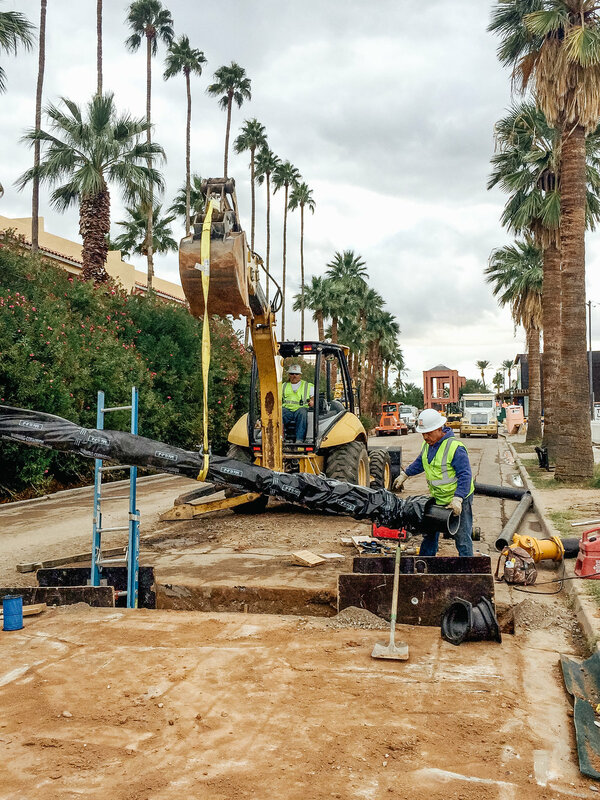 This phase of the project, detailed below, has won an Award of Merit from Arizona Forward's 38th Annual Environmental Excellence Awards program. This portion of the project was a key revitalization component to Chandler’s long-term downtown redevelopment plans. It created an important new north/south connectivity (Dakota Street) into downtown where development agreements are currently taking place to spur commercial and high-density residential growth. The Dakota Street connection included bike lanes, wide shaded pedestrian walkways, and a speed table to slow traffic and provide access for San Marcos Resort visitors and event goers. 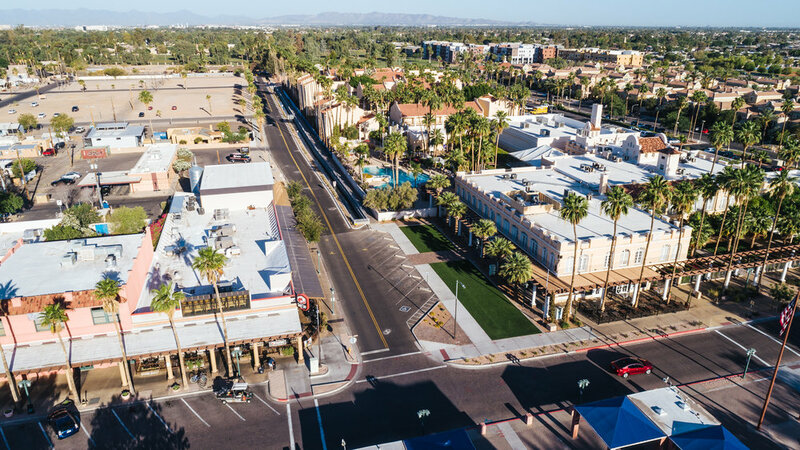 Promoting an urban live, work and play experience was a key tenet to the health, wellness and connectivity of Chandler’s downtown experience and growth. 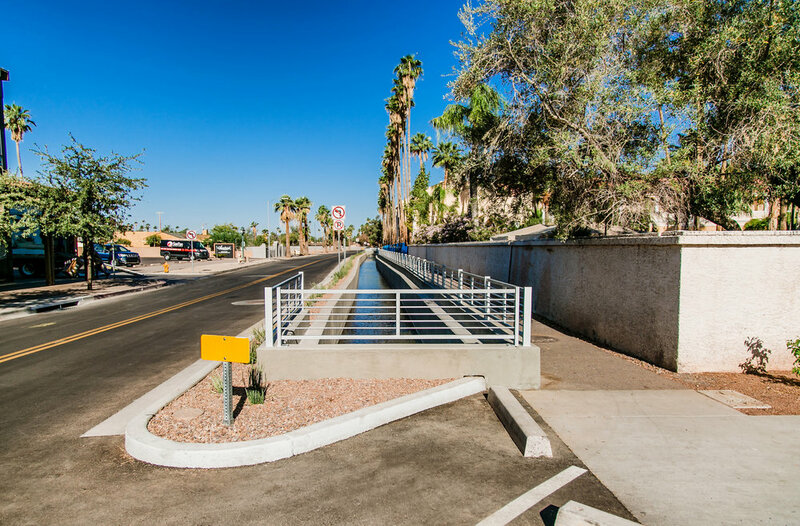 Commonwealth Avenue was reconstructed/revitalized to specifically preserve the historic SRP open canal, providing a historically educational and aesthetically pleasing experience along the canal. This walkable east/west connection between upcoming residential developments and the City’s Historic Square expanded the west side of downtown, creating a “neighborhood” feel. 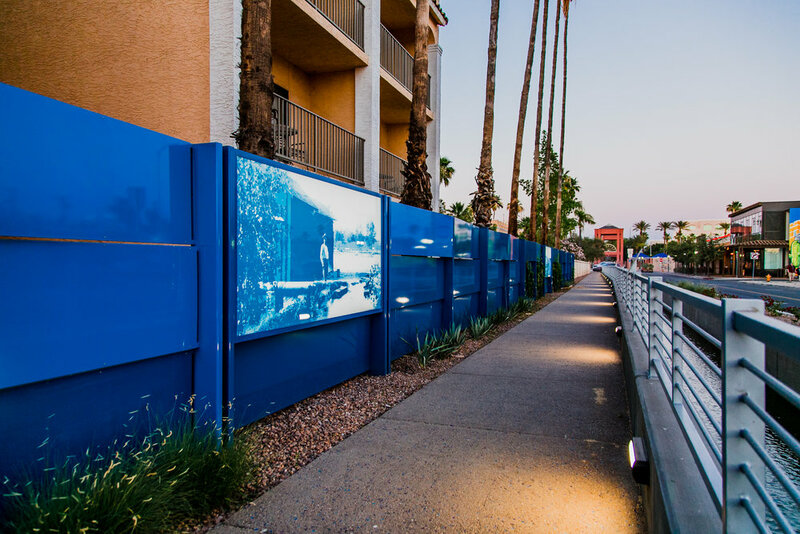 The historic significance of the canal is captured in back-lit art panes set in an artistic paneled fence accompanied by educational plaques. The blue fence is constructed of several different textures and weaving panels to draw the connection to water. The exposed aggregate walkway contains several hues of blue glass that lend continuity to the water theme. A mosaic of Dr. A.J. Chandler ties the historic relevance of downtown to the founder of the City of Chandler.